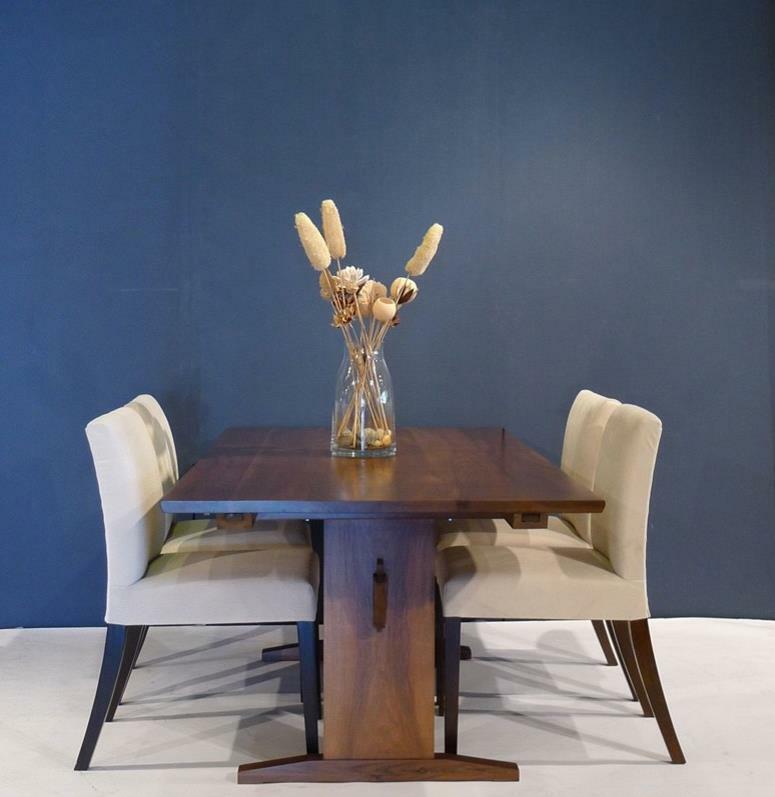 We begin with a collection of tables that showcase rich wooden tones, like this Legacy Classic Larkspur Trestle Table from FIG Stores, crafted from pine with birch veneer. 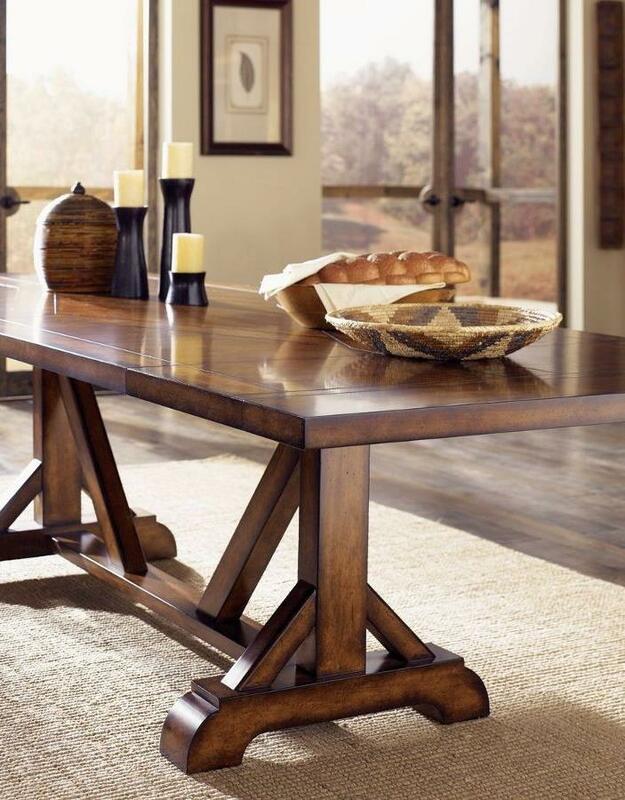 Love the caramel finish! 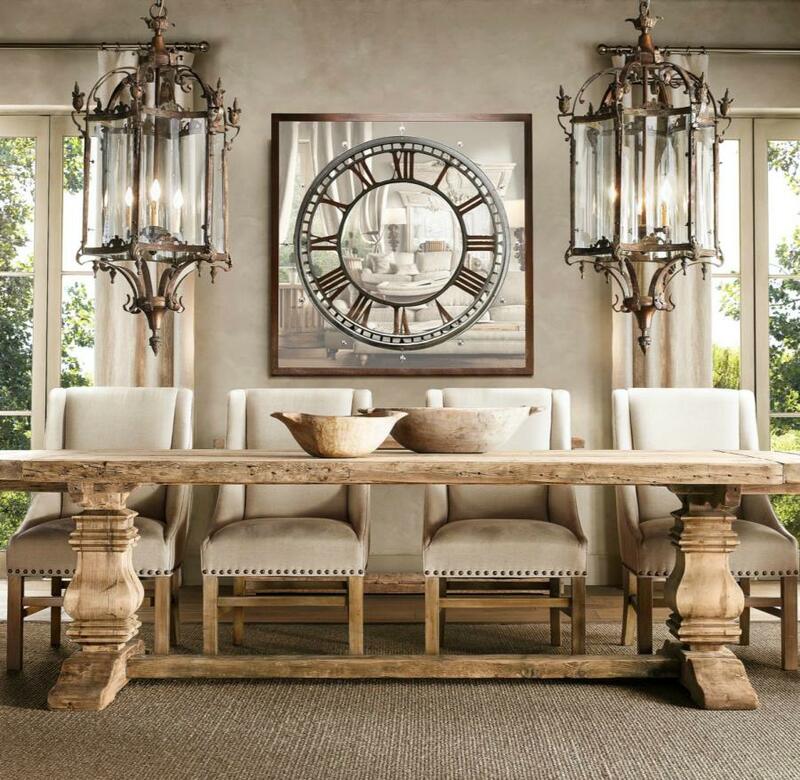 Clean lines get the job done with this Harbor Table from Gingko Home Furnishings. 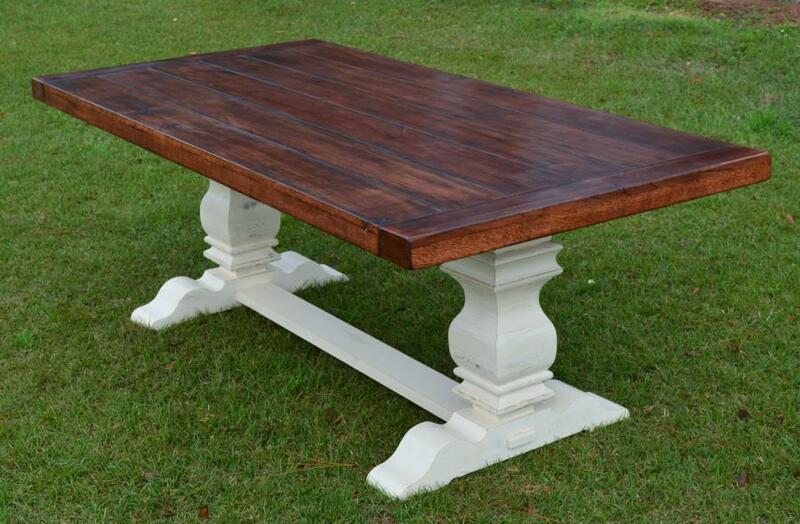 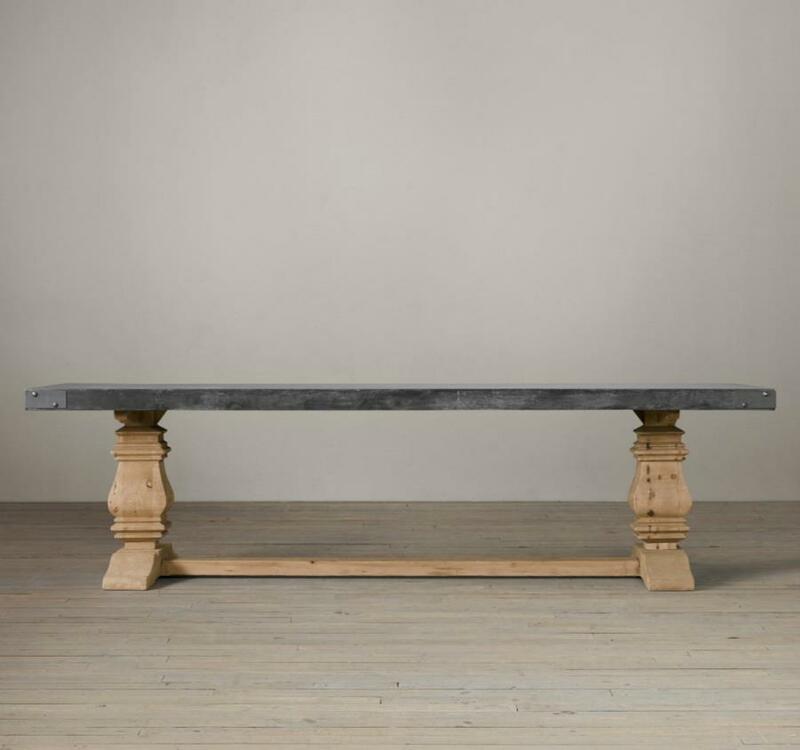 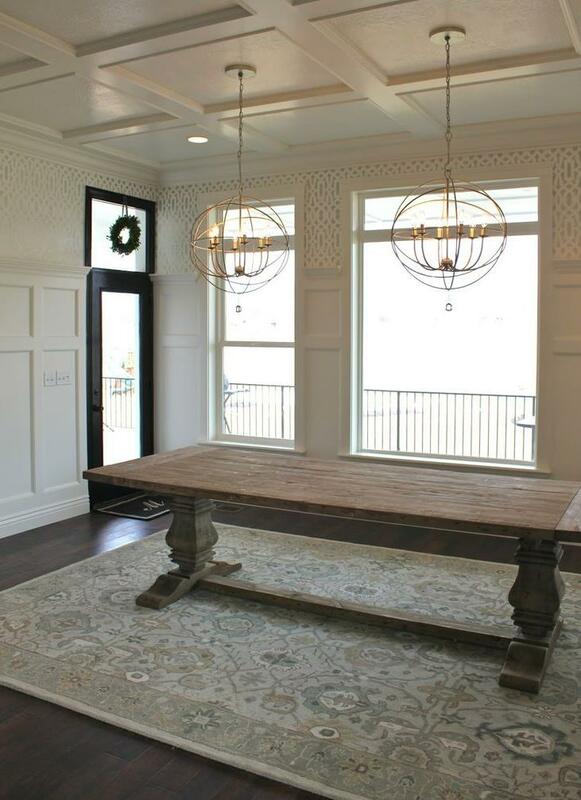 Evoking the classic style of trestle tables from Boston and Nantucket, this piece also boasts a bit of Asian flair! 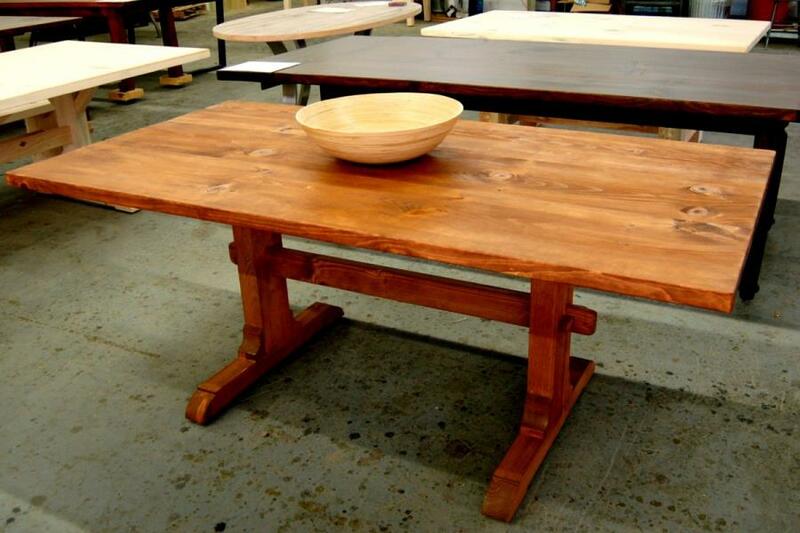 Last but not least, golden tones are alive and well on this Classic Trestle table from The Lorimer Workshop. 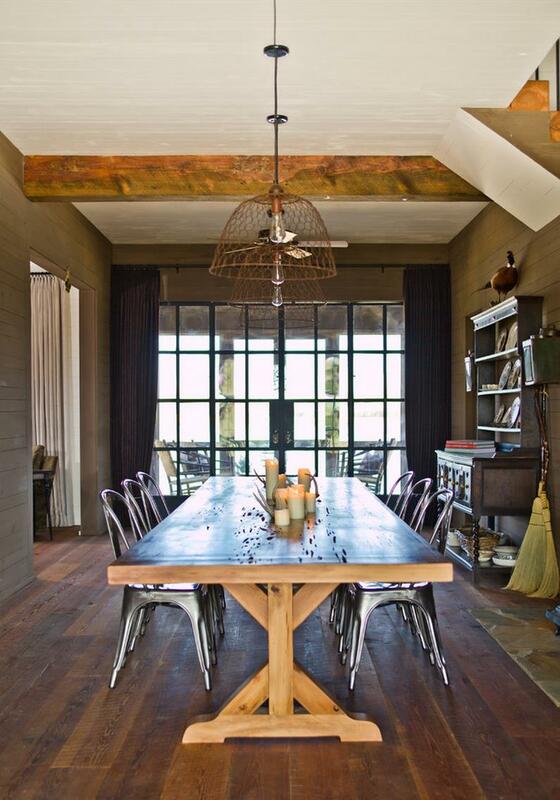 Note the simple centerpiece of a rustic bowl. 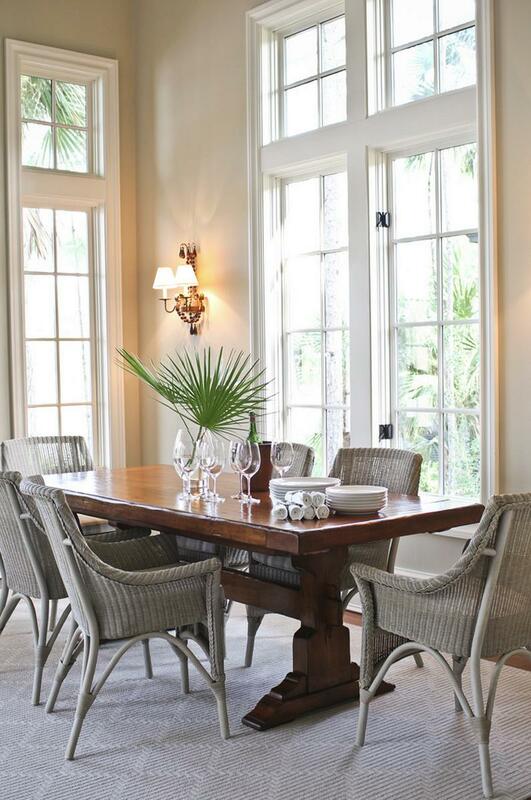 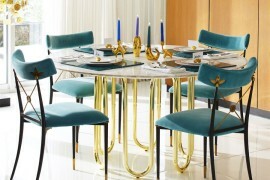 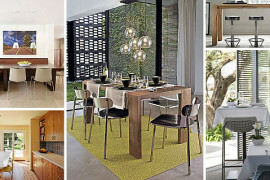 What’s your favorite dining room table centerpiece? 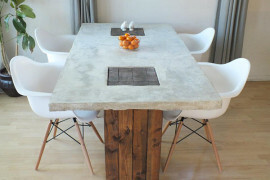 You can introduce some brightness into your dining room by painting the base of your table white. 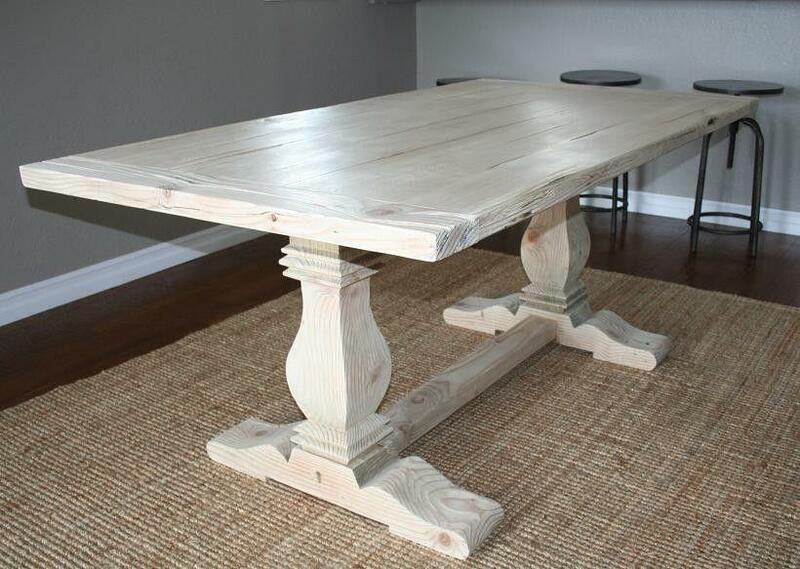 We’re loving the look of this Harvest Table Oak from Etsy shop GroversGrove, which features pedestal legs. 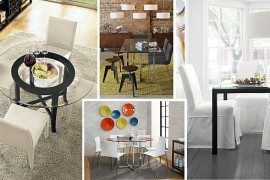 In fact, the legs can be painted the color of your choice! 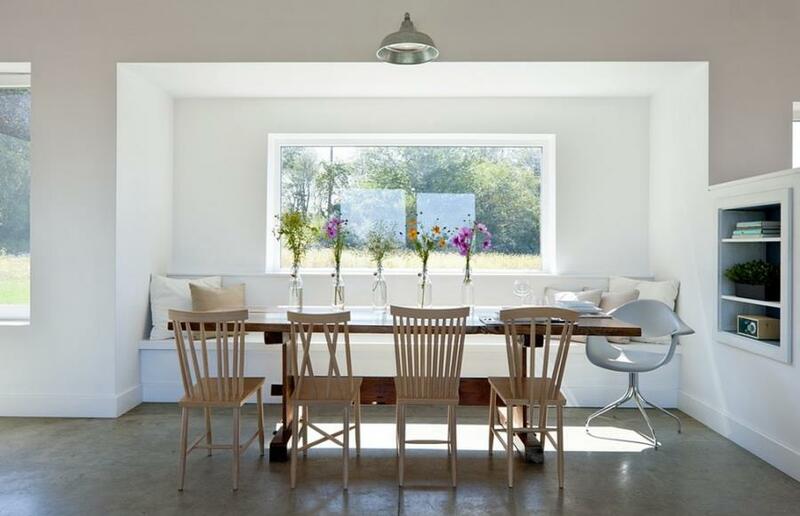 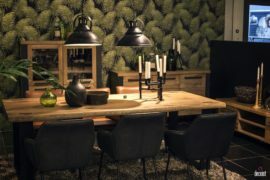 Contrast can also be created by pairing a light table with dark chairs. 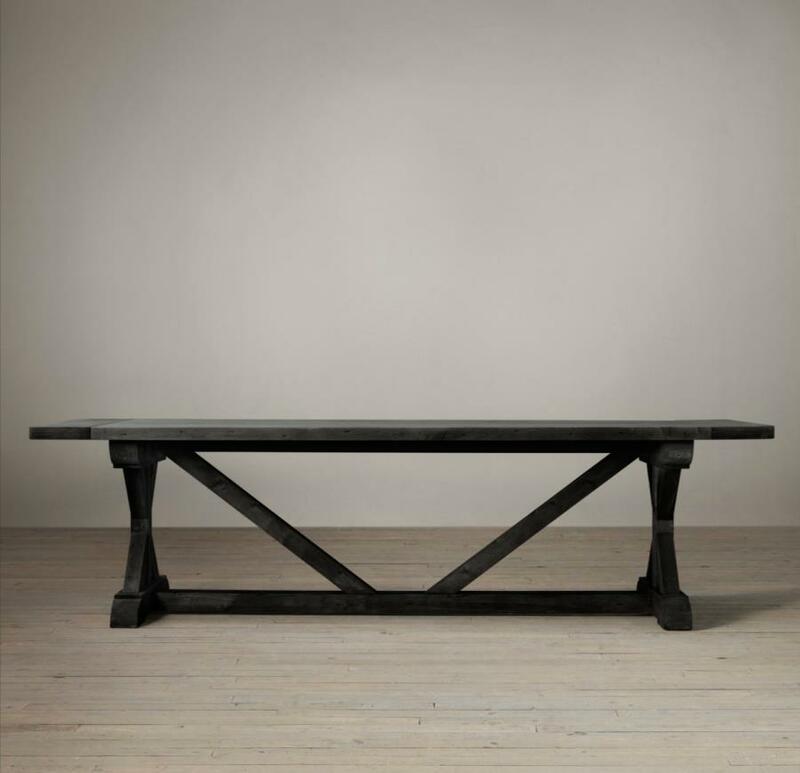 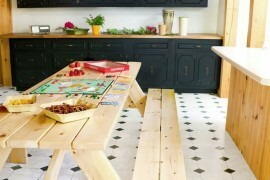 This Hart Table from Room & Board is sturdy and chic. 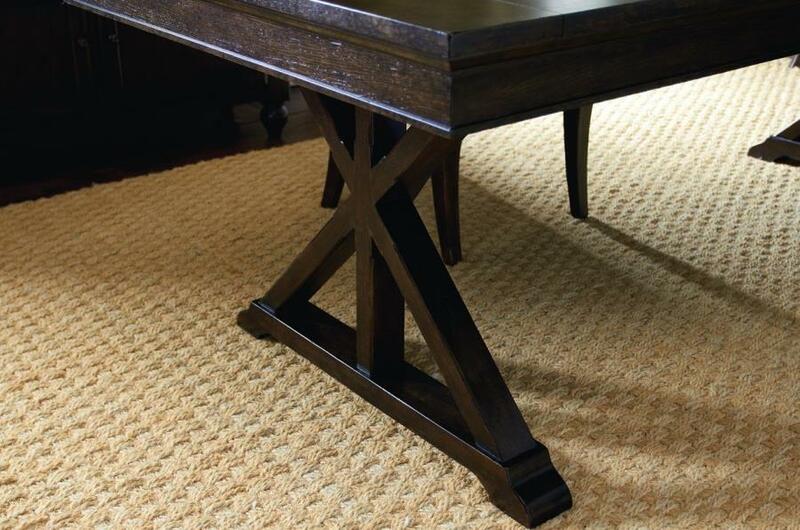 A classic trestle base gives a nod to traditional Shaker style. 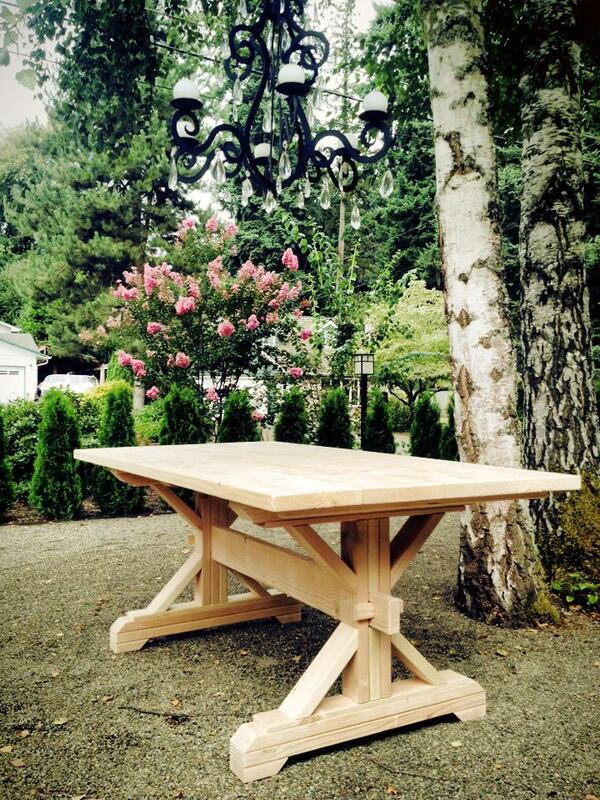 Not to mention, there’s plenty of room under the table for seating!